Kaiser is an adorable young dog who can't wait for a second chance at life with a loving family and home! Kaiser always thrilled to accompany his human companions on their athletic pursuits and outdoor adventures. At the same time, he is very happy to nestle by the side of a person or relax indoors. Since Kaiser is a smart pup and fast learner, he hopes that his new pet parents will get him started on the right paw by participating in one of the San Diego Humane Society's great behavior training programs with him. 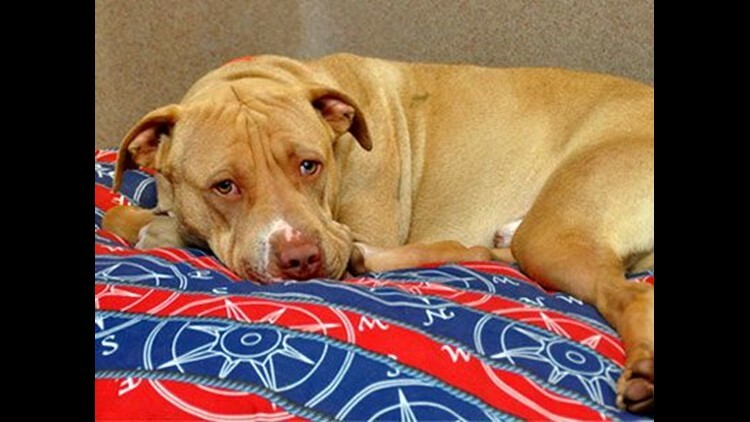 Kaiser will do well in a variety of homes, but a home with older children is recommended. While Kaiser enjoys hanging out with his canine pals, he would prefer to live in a home without cats. Kaiser's adoption fee is $100 and includes his neuter, current vaccinations, permanent microchip identification, a certificate for a free veterinary exam and more!